The camera never lies – but perhaps the after effects do! 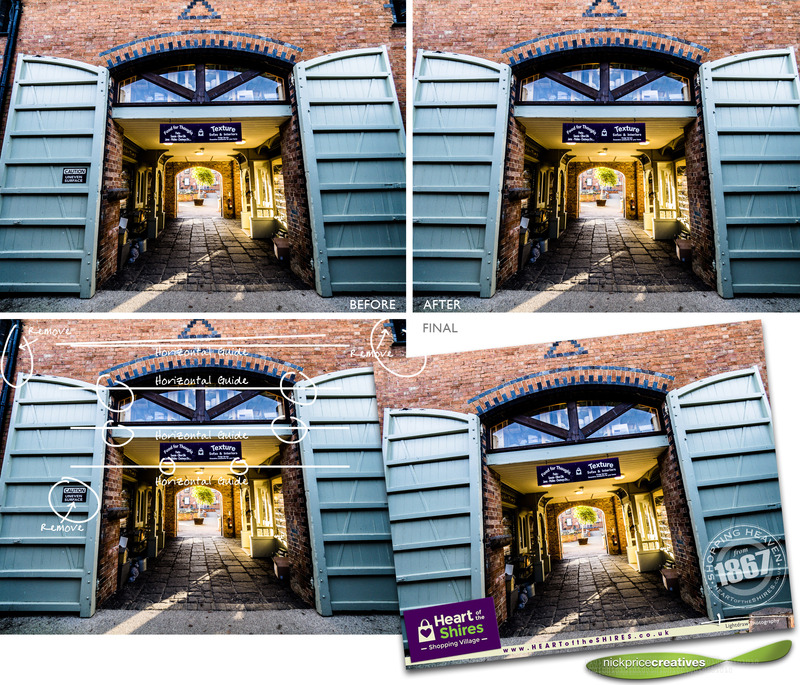 The original photograph was good but we wanted it to be really good – so with a few very subtle changes to the photograph to ensure the angles and horizontals were better – and the caution sign (whilst necessary for the site) wasn’t necessary for the photo. The final panel advertises the site well – and nobody would realise the changes.